When I started McGill Digital Solutions in the fall of 1987, Kodak was one of the world's largest and most profitable companies. Kodak was as American as apple pie (or as Canadian as the Beaver), and had cemented itself into our psyche. 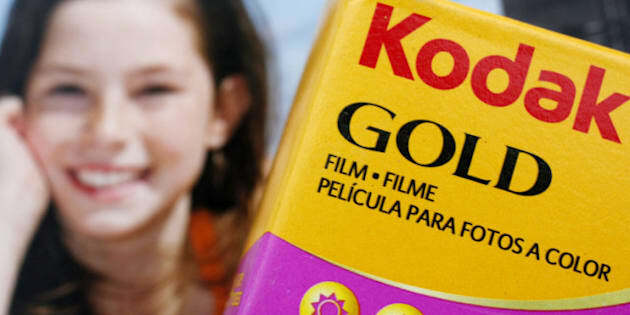 Everyone has had a "Kodak Moment" and Kodak was as synonymous with film as Kleenex is to, well, Kleenex. George Eastman started Kodak in 1892 in Rochester New York and the company flourished through the first three quarters of the 20th Century with little competition. In the 1980s there were over 60,000 employees in Rochester alone. By 2002 that number was down to 20,000. Today there are only 7,400 and last week they filed for bankruptcy protection. What happened? Someone moved their cheese, a concept outlined by Spencer Johnson, M.D., in his book "Who Moved My Cheese?" In this best-selling business book, which has sold over 23 million copies worldwide, Johnson uses a simple story to show what happens when you don't react to changes around you. Kodak invented the first digital camera in 1975 and the first megapixel sensor in 1986. But they did not take this technology seriously as a competitor to the huge film machine they had created. In 1976, Kodak sold 90 per cent of the film and 85 per cent of the cameras sold in North America. They co-invented the PhotoCD with Philips Electronics but still laughed at the thought of digital cameras and using a home printer to print out pictures. They were reportedly in talks to purchase a small company at the time called Casio but the talks went nowhere. I continued to talk to Kodak representatives about their digital strategy and they consistently avoided the conversation. They had quotas to meet, chemicals to sell, and photo paper to ship. The world loved Kodak so why change? With digital photography, Kodak didn't sell chemicals, or paper so they pretended it wasn't coming. Perhaps never in history has a technology been as disruptive and devastating to an entire industry as the digital camera/photo quality printer has been to traditional film. Kodak knew it was coming. They invented it. But they decided to continue milking a system they had a monopoly on and insisted they had the better product. They bet that no one would give up a Kodak Moment for a Cell Phone Snapshot. They lost. Kodak was removed from the Dow Jones Industrial Average in 2004 and was removed from the S&P 500 just last year. Its share price fell from $90 in the late 90s to a mere $1.74 a share in September of this year. Instead of using profits from the good years to change and grow, Kodak turned a blind eye to technology and they let others eat all their cheese.